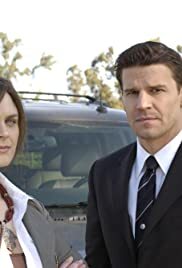 FBI Agent Booth needs forensic anthropologist Dr. Brennan's help to solve the case of a decomposed body found in a pond in Arlington National Cemetery. She agrees to help if she is a full partner in the case. Dr. Temperance Brennan: Tell him where I'm going, ok? Angela Montenegro: She didn't actually say where she was going, did she? This show is excellent. A little dark and spooky but it and House beat the hell out of those useless reality shows. Bones and House show that Hollywood has decided to think and produce quality TV again. It makes you think and wonder about what happens out there in the real world. Only thing is I wish Bones and House were still on same night. Made for one great evening of REAL TV. I wish they'd shown more of Bones this summer even if they had to only show one House per week. Emily is truly a good actress. The entire cast of Bones work well together. I cannot wait for the new season of Bones. 13 of 24 people found this review helpful. Was this review helpful to you?